Osaka Sushi & Steak is hosting a Sushi and Beer Dinner next Tuesday March 11th at 6:30pm featuring Center of the Universe Brewing. 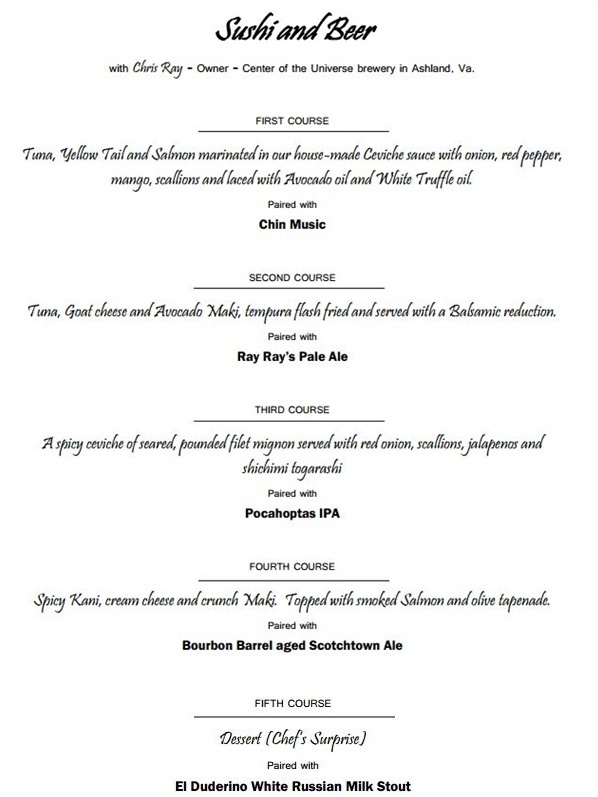 COTU’s Chris Ray will be in attendance to explain the beers being paired with each course. Check out the menu. The cost for the dinner is $55/person plus tax and gratuity. Call Osaka at (804) 288-8801 to reserve your spot and check out the Facebook event for updates.